C.F. Martin began his venture in 1833. Four generations later, Chris Martin IV is at the helm of this family business. Although there have been many changes over the past 178 years, one thing has remained consistent: C.F. Martin's commitment to quality. 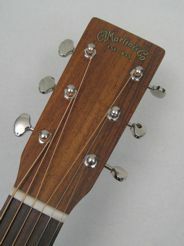 For over a century, Martin guitars have been considered the standard by which all others are measured. 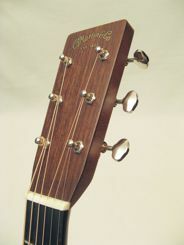 The Minor Chord is proud to be an authorized C. F. Martin dealer. 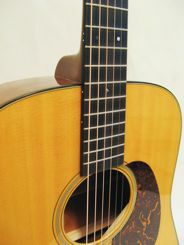 We always have a wide selection of Martin instruments for you to play and compare before you buy. Our prices are competitive with the national chains and reputable online dealers. If you are considering a C. F. Martin instrument and are within an hour's drive of our store, you owe it to yourself to pay us a visit! 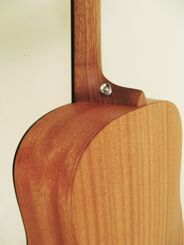 For more information about C. F. Martin instruments please visit the C.F. Martin Company website. 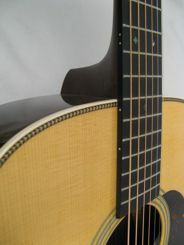 As of April 18th, 2019 we have the following Martin instruments in stock. 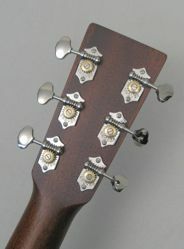 Click on a model number or just scroll down to see descriptions and photos of each instrument. If you are interested in any of the instruments marked On Order, just call or use our Ask Us! page and we'll let you know when they arrive. 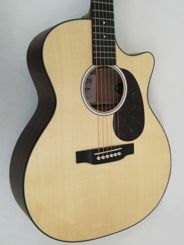 Of course, we can also order other Martin guitar models for you. LXM Little Martin Special price! Part of Martin's Performing Artist series, the GPCPA4 Shaded gets immediate attention with it's tastefully colored amber gloss top. The Grand Performance body shape is a nice combination of the Dreadnaught lower bout and a slimmer waist. This gives you nice low end in the mix while not being too large of an instrument to fingerpick. 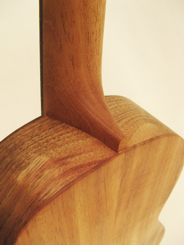 All solid sapele and spruce is a winning combination these days. 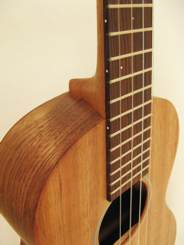 The Fishman pickup system has simple soundhole controls and is easy to manipulate. 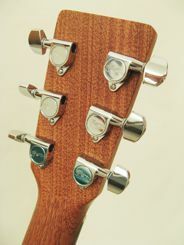 The slimmer neck profile combined with the 1-3/4 inch nut width will handle most songs well. Hardshell case included. When a customer walks in and says to us, "I want one guitar that does everything!" 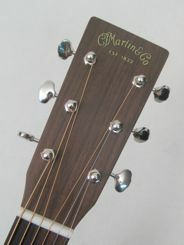 we suggest the Martin OM. 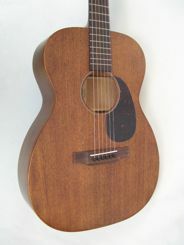 We have always stocked the OM-21, which is a dressed-down version of this guitar, the OM-28. The OM size is more comfortable than a dreadnaught but it's not so small that you lack sound. Strumming or fingerpicking are no problem. 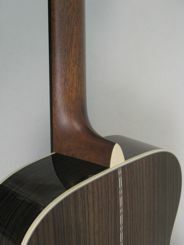 There's a reason the Martin OM style is one of the most copied body shapes in the world. Great balance, feel, a true winner. 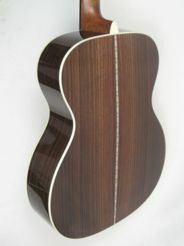 The combination of rosewood body, spruce top, and ebony bridge and fretboard is the go-to wood scheme for most players. Martin redesigned the OO-28 in 2018 and we're impressed. The 00 body shape is super comfortable for most people and never hunches up the shoulder. Amazing warmth and balance from lows to highs. 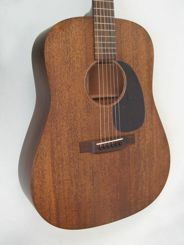 The OO-28 is wonderful for intimate playing situations - a great recording or songwriting guitar. 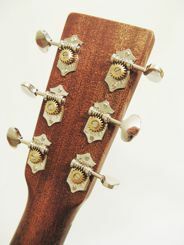 The short scale neck and 1-3/4" nut width are a nice combination of not reaching too far but having adequate space for the fingers. 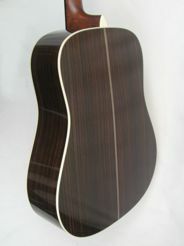 Molded Martin hardshell case included. 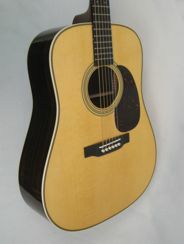 The Martin HD-28 has established itself as a Martin classic. Boomy, big tone with clarity as well. 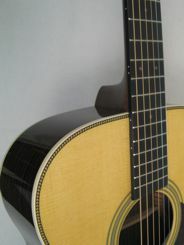 A fine guitar for the bluegrass/jam circle and recording that larger acoustic rhythm sound. 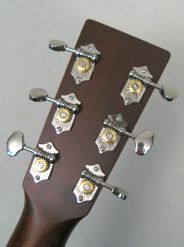 The aging toner on the top with the nickel butterbean tuners looks sharp. The herringbone trim is more subtle than flashy inlays, but folks tend to love its simplicity, especially here in conservative New England. Countless musicians have played the HD-28, come check it out! 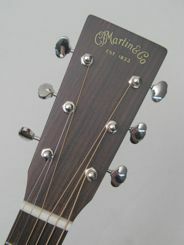 Martin's Standard Series instruments are legendary the world over. The OM-18E is a newer addition to the line with the performer in mind. 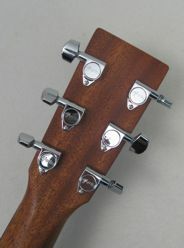 Sometimes it's hard to find an acoustic/electric model without the cutaway, but the OM-18E has the full OM body shape. 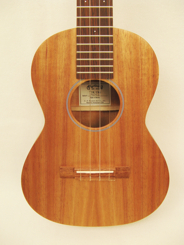 It's built with one of the go-to wood schemes in mahogany and Sitka spruce. 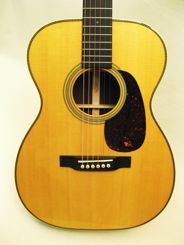 We keep saying it, but the Martin OM is one of the best all-around guitar shapes for almost any playing style. 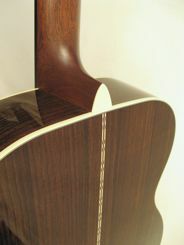 Martin says the neck is a modified low oval shape, but to Zach it feels more like a modified-V shape. Either way, it has a really nice feel and sound. Plugged in, the Fishman Aura VT Enhance system can really shape your tone. The OM-18E is very quickly becoming a staff favorite. Hardshell case included. 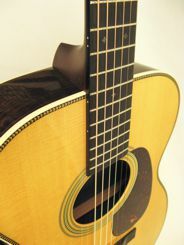 There's not much we can say that hasn't already been said about Martin's all-time classic, the D-18. 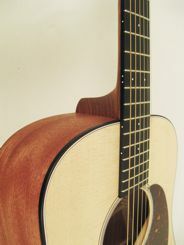 Big sound from the Dreadnaught body; the classic tone of the mahogany and Sitka spruce tonewood combination. 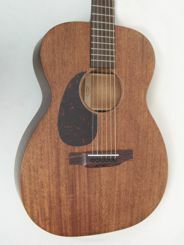 Strum away in your living room or in the bluegrass jam, you'll certainly be heard playing the D-18. 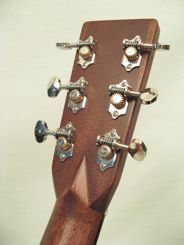 It was redesigned a few years back with the slightly wider 1-3/4 inch nut with, aging toner top, and nickel open-gear butterbean tuners. Hardshell case included. 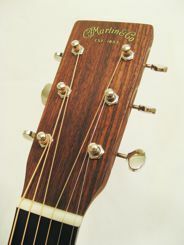 A long time staple of The Minor Chord, the 000-16GT is a good value for a U.S. made, all solid wood instrument. 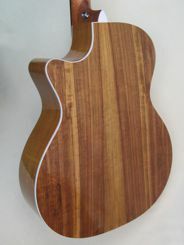 The mahogany and Sitka spruce combination yields a nice woody, punchy tone. 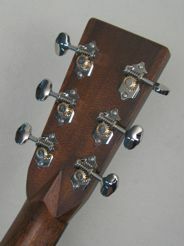 The body shape is comfortable and the neck has a slimmer feel and profile with the 1-11/16 inch nut width. 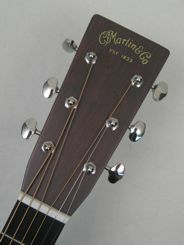 The 15 and 16 Series Martins have been in continuous production for a long time now. 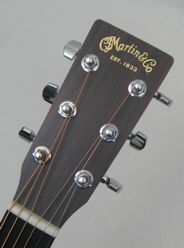 They've proven to be the affordable workhorses of the U.S. Martin line. Hardshell case included. As with the 000-16GT, the D-16GT has also been a long-time favorite here. 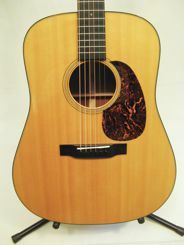 It's a more affordable U.S. made mahogany/spruce dreadnaught than its older brother, the D-18. 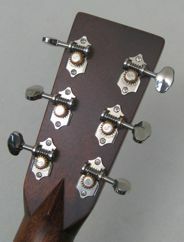 More low end and boom than the 000, but with the same slimmer nut width and feel. 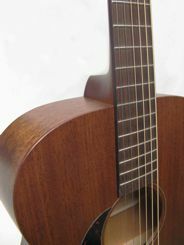 When compared to the D-15 with its mahogany top, which we also stock, one notices the brightness and sustain of the spruce top. Nothing too fancy, straight ahead Martin sound. Hardshell case included. 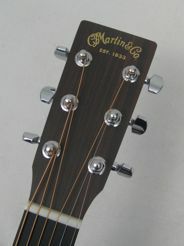 Along with the D-15M, the 00-15M has always been a standard Martin stocking model here at The Minor Chord. Compared to dreadnaughts or OM size guitars, it's much harder to find 00's in general. Not only that, typically because of the smaller compact size, sound tends to lack. The 00-15M however, is an exception. The simplicity of the satin finish and quality tone woods is beautifully understated. 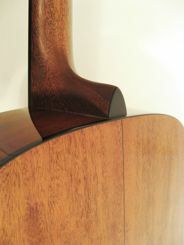 All solid mahogany, including the top, yields an extra warmth and depth that the brighter spruce tops don't always have. 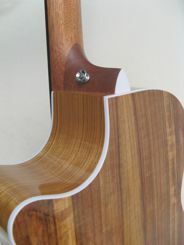 The neck profile is slim and easy to manage. As we mentioned with the D-15M, these guitars break in wonderfully over the years. 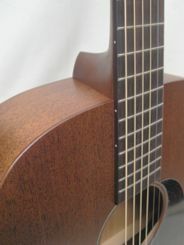 U.S. made, quality woods, simple look, a solid choice for that Martin sound. Hardshell case included. 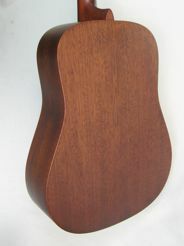 We like to have a few left handed guitars in stock here at the store, including a decent U.S. made solid wood model. 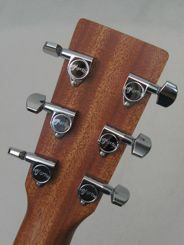 Because of the superior comfort and popularity of the 00-15M, we stock it left handed as well. 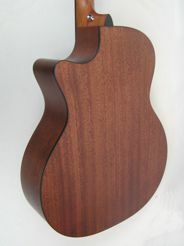 Despite being a smaller body shape, the all solid mahogany wood scheme yields plenty of warmth and volume. Understated looks but elegant at the same time. These wear in nicely as the years progress as well. Hardshell case included. The satin finish and simplicity of Martin's U.S. made '15'-Series instruments creates a beauty of its own. 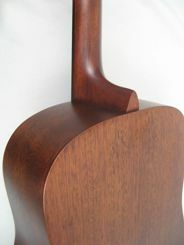 All solid mahogany guitars have a deep rich sound that spruce top models tend to lack. 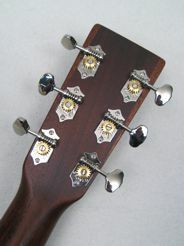 The slimmer nut width and the satin finish on the neck and body make a very smooth-playing instrument. These models break in very nicely over the years as well. If a big, boomy sound is what you're looking for, the '15' Series is a good choice. 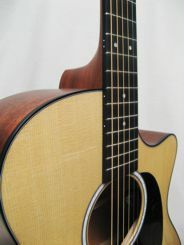 For fingerstyle and a super comfortable size, check out the Martin 00-15M. Hardshell case included. The acoustic/electric world has grown tremendously in the past 10-20 years with countless models currently available to the customer. 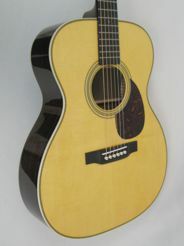 Martin now has several options including this new GPC-13E. 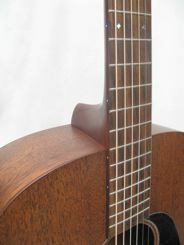 A solid choice for the performing musician, the all solid Mutenye and Sitka spruce is nicely balanced for both strumming and fingerstyle. The Grand Performance shape sits on the lap more comfortably than a Dreadnaught. 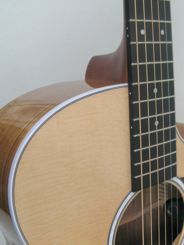 The Fishman MX-T system is really cool with the built in soundhole tuner. The auto mute function makes sense when needing to tune during a live performance. 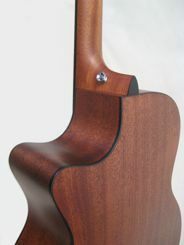 Quality Martin soft shell case makes for easy travel with your instrument. An all-around great choice. 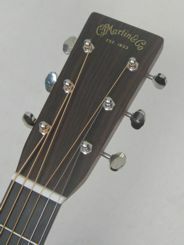 The GPC-11E is a brand new Martin Road Series model. 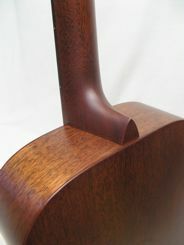 The Grand Performance body is a hybrid shape with a larger bout like a dreadnaught, but a slimmer waist more like an OM. Combined, this shape delivers a strong bass response and balanced tone but is more comfortable on the lap than a dreadnaught. With the cutaway and brand new Fishman MX-T pickup system, this guitar is ready for the stage. 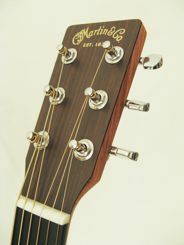 The MX-T features an easily visible tuner in the soundhole with an auto-mute function for convenient tuning any time. Premium soft case included. 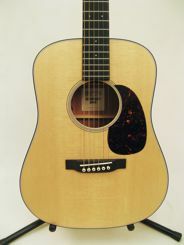 The GPC-11E is a brand new Martin Road Series model. The Grand Performance body is a nice shape with a larger bout like a dreadnaught, but a slimmer waist more like an OM. Combined, this shape yields a strong bass response and balanced tone but is more comfortable on the lap than a dreadnaught. With the cutaway and brand new Fishman MX-T pickup system, this guitar is ready for the stage. 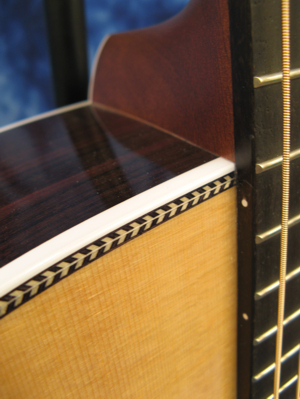 The MX-T features an easily visible tuner in the soundhole with an auto-mute function for convenient anytime. Premium soft case included. If you're not ready for the larger price tag of a D-18 or D-28 but still want that Martin dreadnaught sound, have a look at this more affordable Road Series dread. 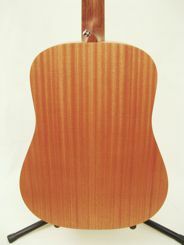 The top is solid Sitka spruce. 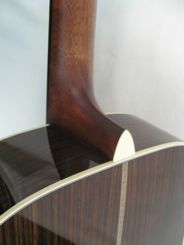 The back and sides are solid siris, a less well known tonewood with a bass response reminiscent of rosewood and nice clear mids and highs. 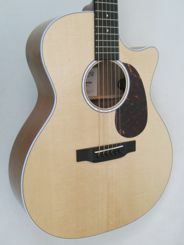 Solid wood all around, Fishman pickup, beefy Martin dreadnaught tone... What's not to like? Released in 2015, the new Dreadnaught Jr. immediately impressed us. 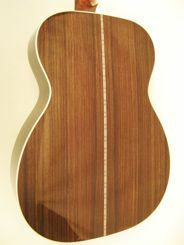 It is a scaled-down Dreadnaught shape with a slightly shorter 24-inch scale. This makes it extraordinarily comfortable to play. 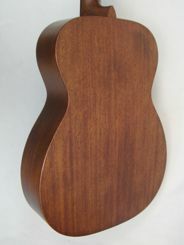 Another nice surprise is the solid sapele back and sides, an unusual feature in an under-$1,000 guitar. 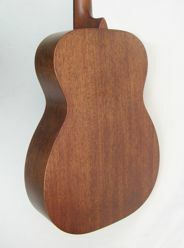 The top is available in your choice of solid Sitka spruce or solid sapele. 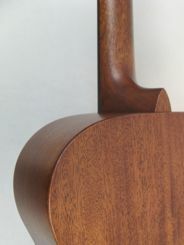 Thanks to the all-solid-wood construction, this guitar delivers a much bigger and surprisingly fuller sound than one would expect from the small body and short scale. With its optional Fishman Sonitone electronics, you can enjoy this wonderful little guitar plugged in as well. 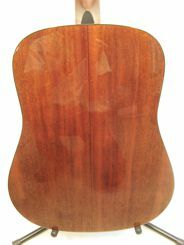 Here's a nice solid-koa tenor uke at a reasonable price! 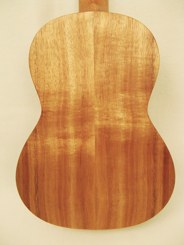 Brighter, crisper tone than mahogany without being harsh. Satin lacquer finish. Includes Martin carrying bag.